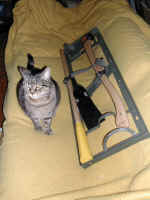 I purchased the shovel from Lamar Rowland at the 2004 East Coast Rally in Aberdeen and the axe and mattox from my local Home Depot. 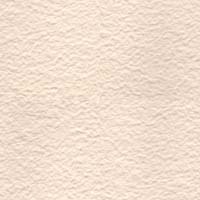 Kevin Emdee of Star Electric posted the following specificaitons for the tools used on the M38 to the G503 M38 forum and I am reproducing them here since the M37 was fielded at the same time. 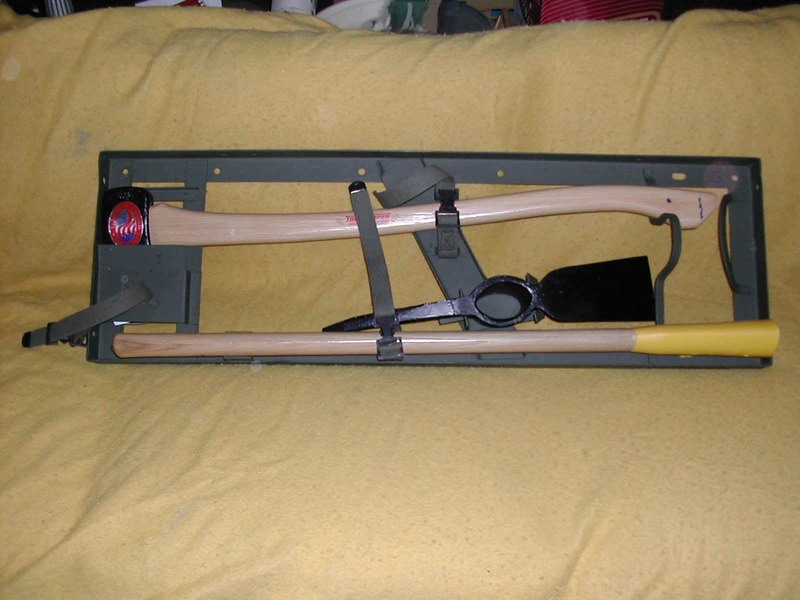 "Shovel is a True Temper Bantam BRT-SD if anyone else wants to search for one. For all: About three years ago, Kevin began to offer the pioneer tools. Kevin took the sizes for the tools from the tool lists published for the various M-series vehicles. The axe, mattock and mattock tools were straight forward. The shovel took further digging. Kevin contacted the military sales rep for True Temper tools. 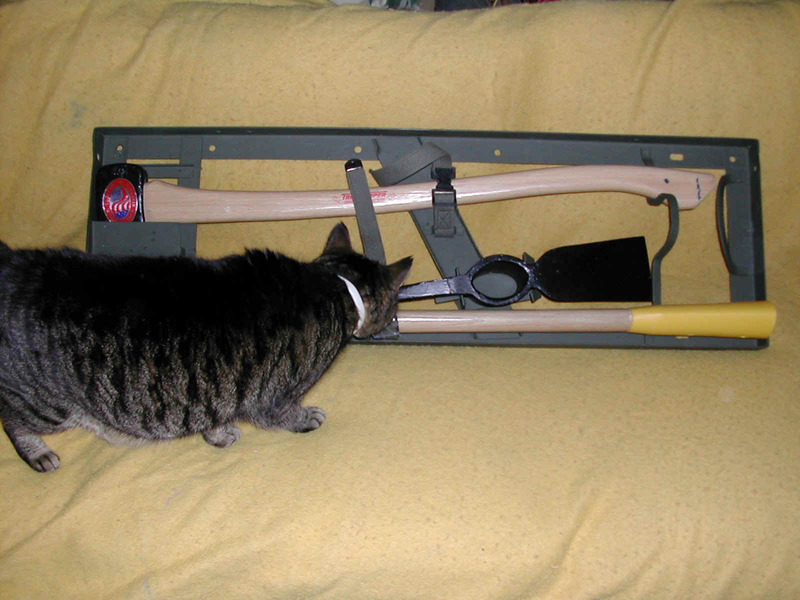 The rep. told him that the gov't specs allowed a variation in the length of the shovel. The overall length could run 34 3/4" to 36 1/4". This explains the variation in length of the shovel's shown in TB ORD 2300-2-/4, dated 18 August, 1958. It is titled "Stowage Locations For Pioneer Tools And Brackets". 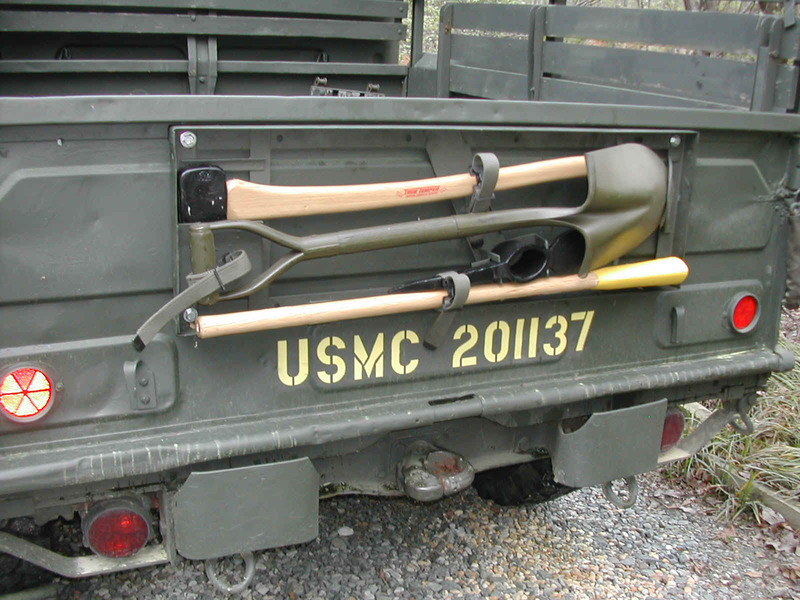 It has photo's showing where the pioneer tools and brackets are located on all of the Army's wheeled vehicles, starting with the M-38. 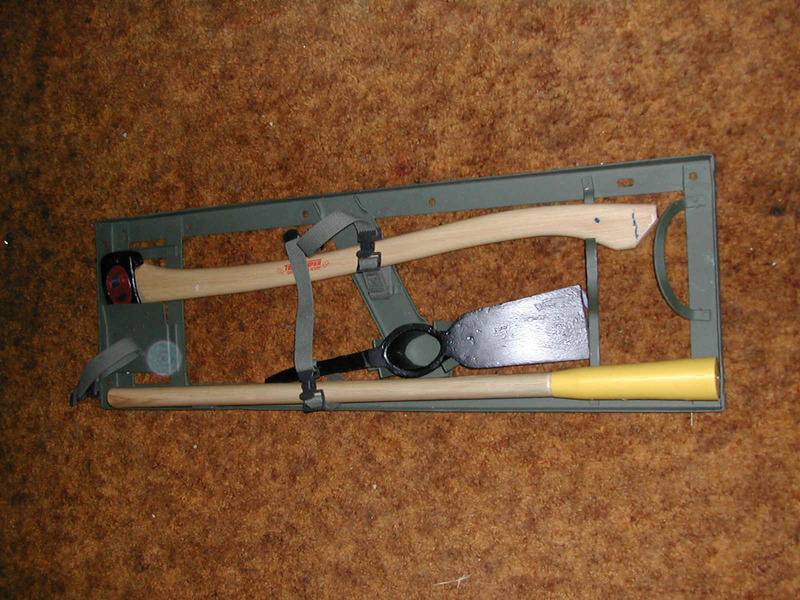 There are three different kinds of shovels shown throughout the TB. 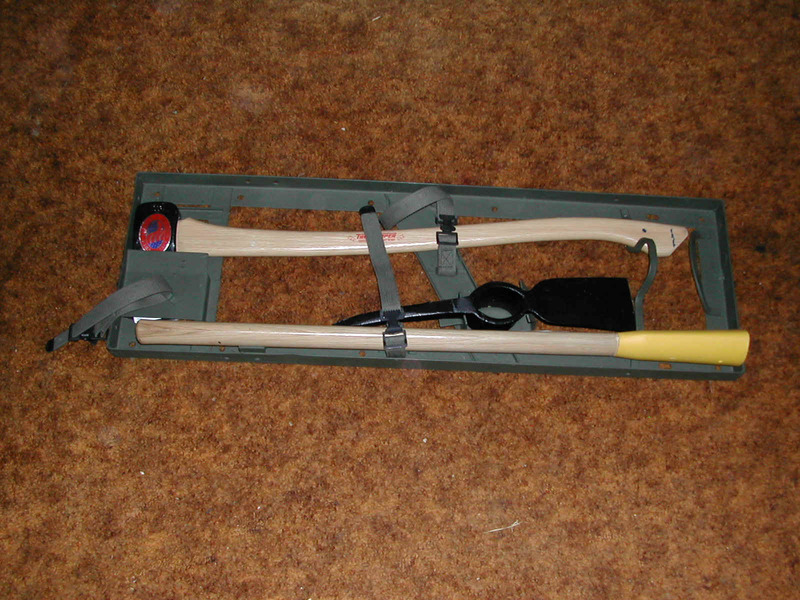 The shovel lengths shown show handles protruding just over the end of the bracket and others fitting inside the frame. 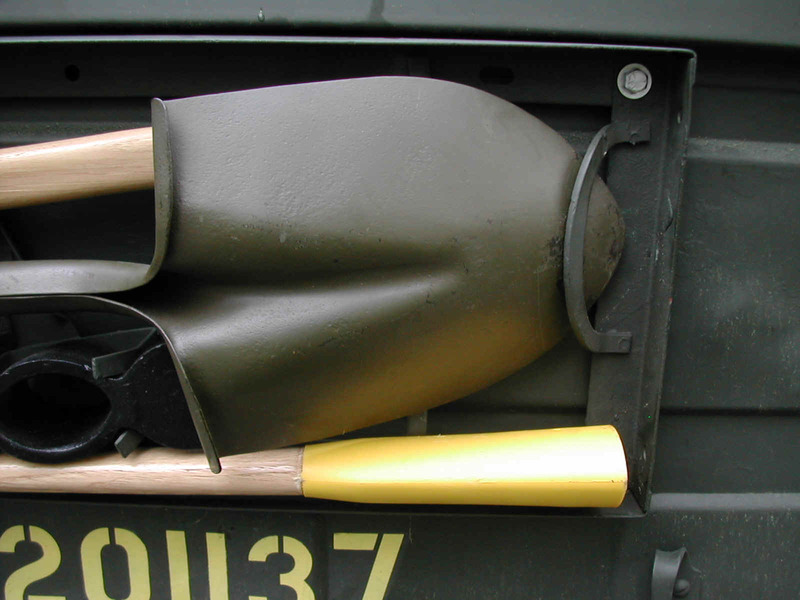 The shovel for the M-38 is different, than the shovels for all the other M-series vehicles. 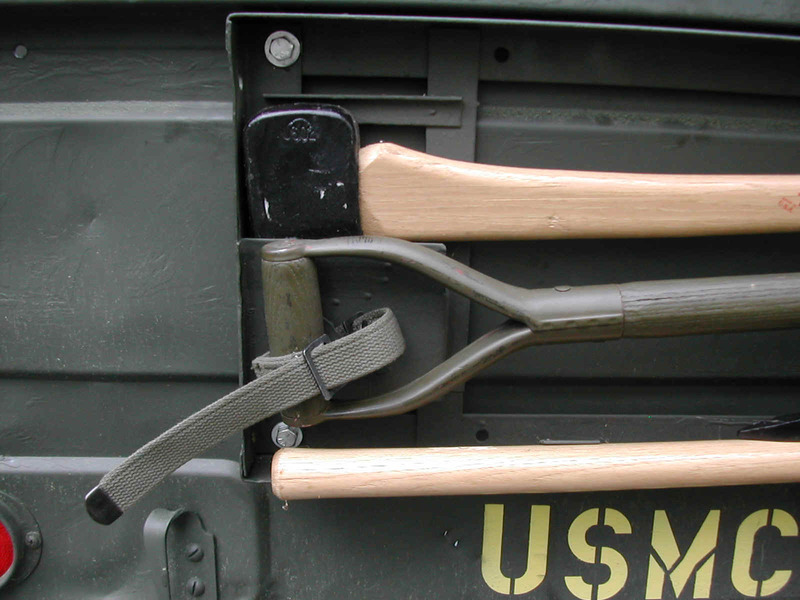 Because the M-38 body is virtually the same shape as the MB/GPW, it has to bend around the edged protrusion of the body tub in order that the shovel blade and the shovel handle lie flush against the body. This is achieved by a sharp bend or arc of the metal neck of the shovel. This sharp bend was eliminated as no other vehicle required that shape. The other shovels are more flat and were easier to make as the wood handle did not have to be shaped to match the curve of the blade neck. 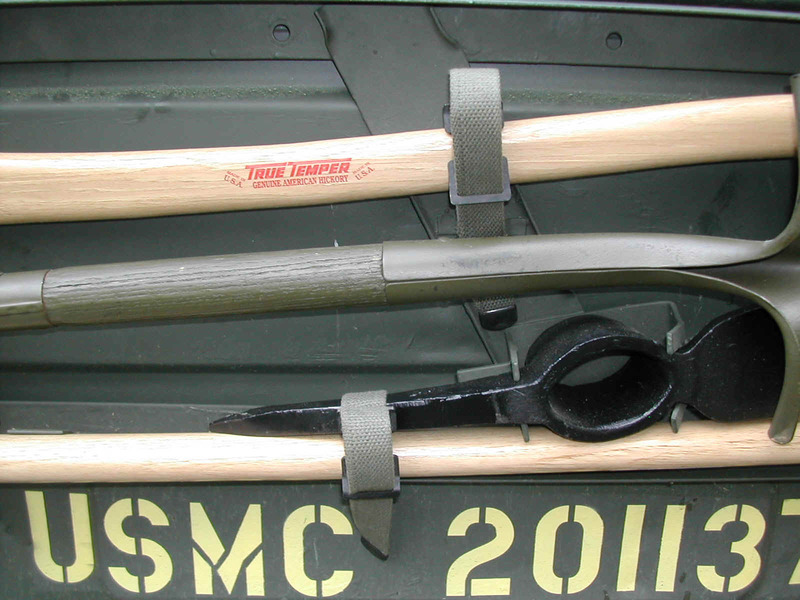 If you put a regular shovel on an M-38, then your handle will stick out about three inches from the body. It looks ok and most people will not notice it. AXE: Single bit, 4 lb head weight, 4.750 inch cutting head, 31.00 inch handle length, Federal Spec GGG-A-926, type 1, class 1, design A.
MATTOCK: Pick type; without handle, 5 lb head, Federal Spec GGG-H-506, TypeII, Class F.
MATTOCK Handle, Hickory, 36.00 inch length, Federal Spec NN-H-93, type 5, Class 1, Grade B.
SHOVEL, Hand, Round point, open back construction, 12.500 inch blade length, 10.250 blade width, DF-style handle, Federal Spec GGG-S-326, Type 4, Class A, Style 1, Size 2. In reference to painting, the tools came from the factory in civilian colors. The wood was natural and unpainted, axe heads were red, the shovels usually had a natural steel color blade with the D-handle grips being red. It was usually at the unit level, that commanders would dictate painting them to match the vehicle."